Blending visionary lyrics with the acoustic instruments of Americana music, the pedal steel of Country, the raw honesty of Blues, the extended solos of Deep Track FM Music, and vocal arrangements that harken back to the early days of rock and roll, we get something that’s new but feels classic. In the opening track, Michael sings, “Yesterday is here tomorrow;” that line epitomizes the paradoxical character of this record. Taken as a whole, the 16-song collection belies comparison to other artists and records; it sounds different, the lyrics speak of different things in a different way; it’s unique, and yet paradoxically, almost every song is reminiscent of other seminal artists who’ve influenced this music. Healing Waters features the California Band that has accompanied Michael on his West Coast (USA) dates since 2012, including Bill Flores on accordion, pedal steel, dobro and mandolin; Bear Erickson on electric guitar, baritone guitar and bass guitar; Tyson Leonard on violin, and Tompeet Frederiksen on drums and percussion. Included also, are two duets with “The Carter Girl,” Carlene Carter. Despite such masterful accompaniment and collaboration, we also (paradoxically) get some of the most simple, honest, stripped down recordings to be found in MOF’s extensive discography, which includes 18 albums, more than 200 songs. For an artist whose style has been forged through endless touring, this record comes at a time when touring at a grassroots level makes almost no sense at all, and many of the listening venues are closing their doors or turning to tribute bands, cover bands and DJs; still, this [combination] blue-collar troubadour/celestial composer/poetic sorcerer continues to travel to new places and reach new audiences. When so much of today’s music seems to exist as a means to some other end, Healing Waters is an end in itself; a piece of art; a great week in time captured on record forever. We invite you to immerse yourself in these – Healing Waters. Recorded in a studio in Otsego Michigan with a six-piece band and background singers - half Live, and half produced and arranged. Featuring Ced Curtis on guitars, David Reinstein on sax, flute and keys, Todd Glass on Drums, Tobias on drums, percusssion and harmony vocal, Jack Dryden on bass, and Michael on Fire on guitars, keys and lead vocal. 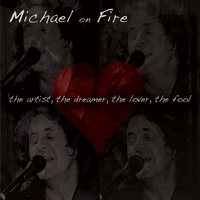 A beautiful CD recorded in in Van Nuys, CA - featuring Ced Curtis and Stevie Ray Davis on guitars, Tobias on drums, percussion and harmony vocal, and Michael on Fire on guitars, keys and lead vocals - includes popular favorites I'll Make You a Drum, Climb These Walls and Keepers of the Flame. Received highest ratings in RELIX, Dirty Linen, and SPIN Magazine. Recorded Live in the glorious Santa Ynez Valley on California's Central Coast at the critically acclaimed Tales from the Tavern concert series. 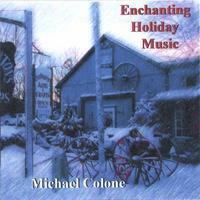 This collection of instrumental music has been played in heavy rotation on The Weather Channel for the past thirteen years around the Christmas Holidays. These are absolutely beautiful pieces of music. More instrumental favorites including tracks played in rotation on The Weather Channel.